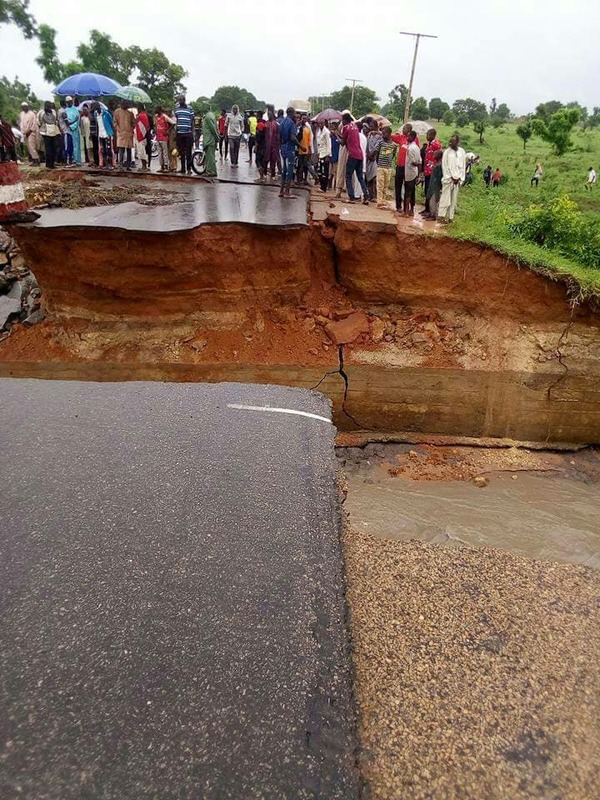 Many road users have been stranded after heavy rains destroyed a federal highway in Taraba state. 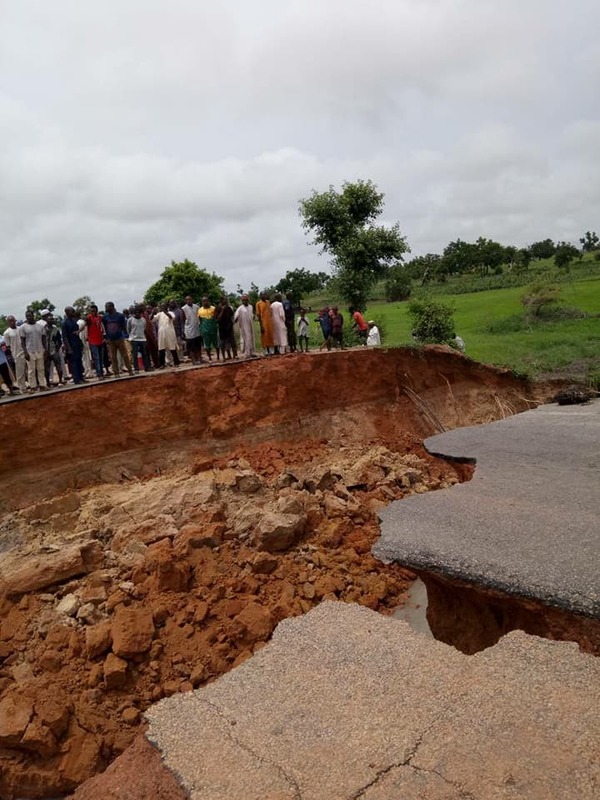 Photos have shown how a Federal Highway collapsed in Taraba State. The development has left various road users stranded. Local reports that the road which is a link between Jalingo to Wukari is currently not passable due to the collapse. Photos show many road users standing by, looking at the bridge and thinking of the next possible action to take. 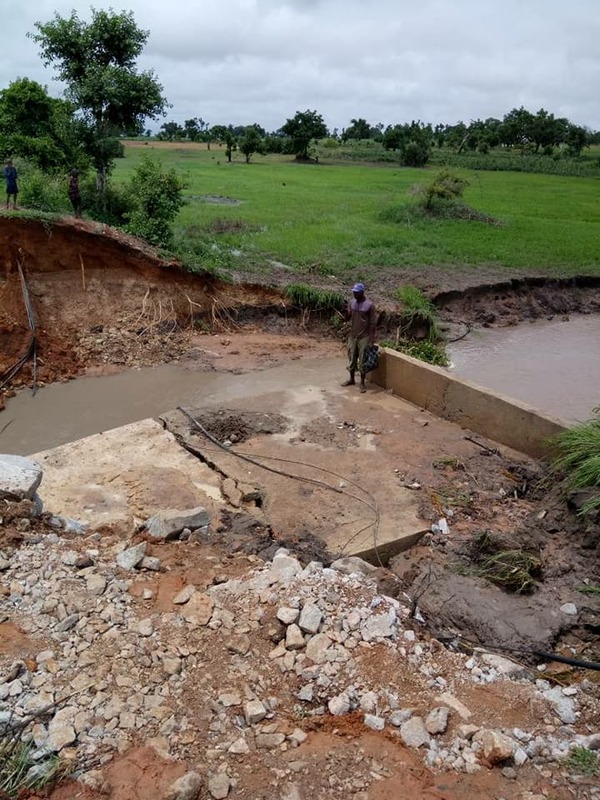 Word has been sent out far and wide to motorists, advising them to use alternative roads to Wukari as well as from Wukari to avoid being stranded.